…and Elvira is almost ready to dance and prance! post script: the youngest member of the human family fell in love with this doll when she was complete, and re-named her Lala… a new knitted Elvira-doll was finished a few weeks afterward! 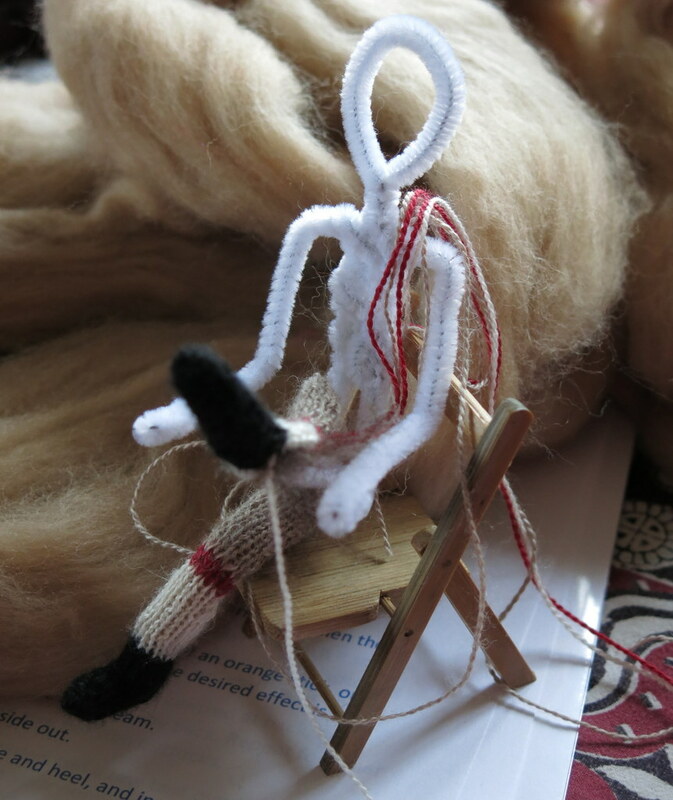 Thank you very much to one of my Hitty friends who devised this Hitty-sized knitted doll, and to another who refined the pattern and shared it with Hitty-knitty folks. 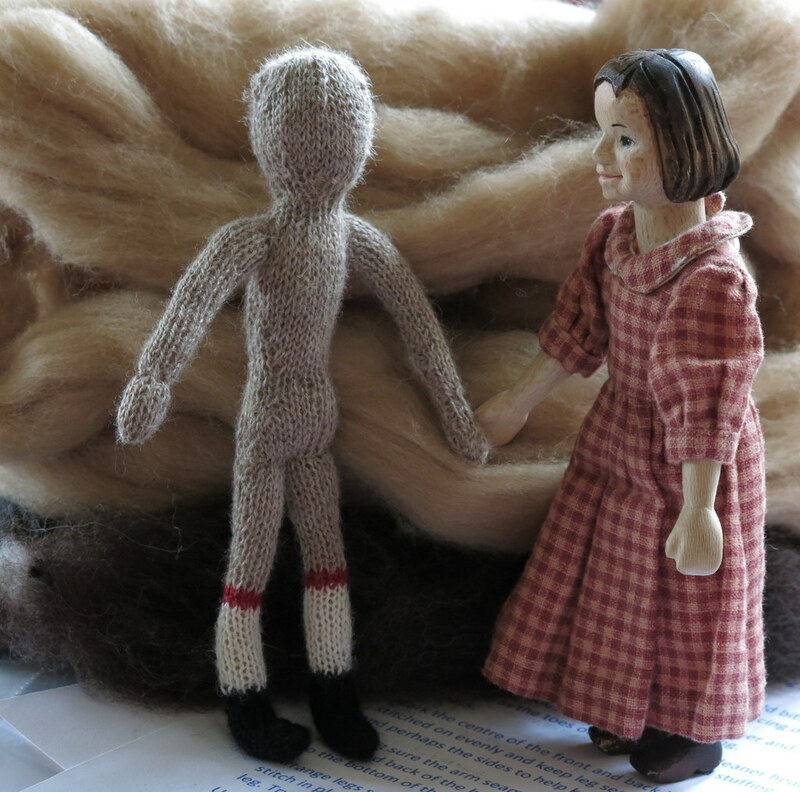 Dolly will be glad to have a face, hair and clothes, because some humans around here have alluded to a similarity between her and an unclothed sock monkey! 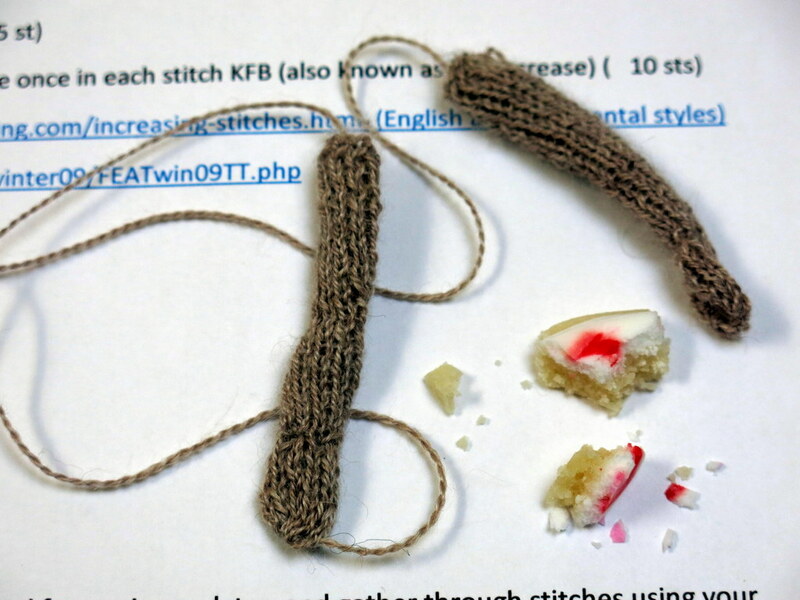 It is fun to try a new project – I have never knitted such thin yarn! I am glad the pattern seems to be working out and I am looking forward to making the hair and clothes! I couldn’t put it better than Nia did. Simply adorable. Love it. Thanks! I wonder what she will be like when she is done? This is the mysterious stage! Amazing! Thanks for sharing the pictures! Can’t wait to see her face. I’ve been wondering what her face looks like too – but I will have to wait until the weekend, or until I have a bit of time during daylight hours…hurry up daylight savings time! 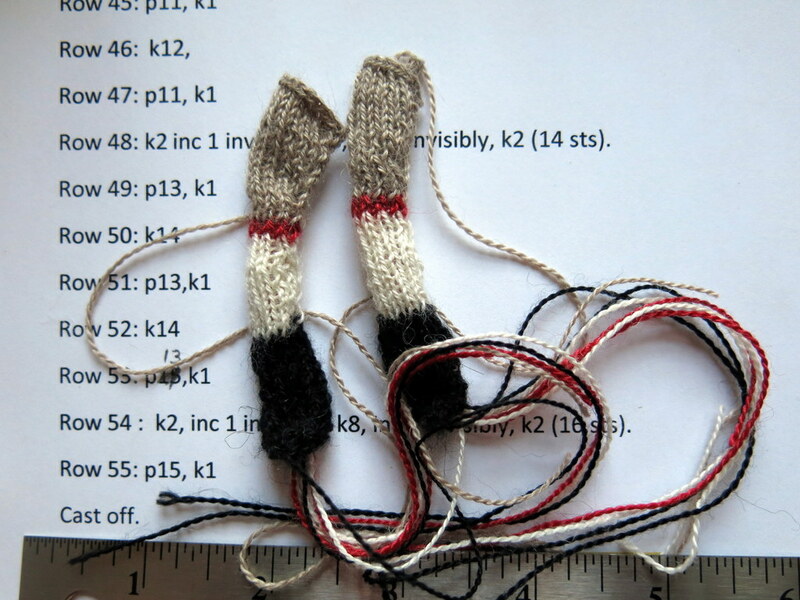 Oh ho….sock monkey eh? That made me laugh out loud and Hetty Hickory said she could definitely see a similarity! heh heh. I personally am anxious to see this little Miss with a face. I won’t mention Hetty’s sock monkey comment to Elvira, she is already feeling self-conscious enough as it is! she’s going to be adorable – but I can see the monkey, just a bit! I think she will be fun – maybe she doesn’t mind being compared to a monkey!! Cookies were definitely part of the process! I love this knitted lovely. If I ever learn to knit…but we don’t think that’s too likely. We love her too, though she changed her name as soon as the smallest person in the family noticed her!